The shape of this travel pillow is perfect for biggerish kids who can position it just right. It’s not super huge so it won’t hog up the whole backseat of the car and cause a ‘you’re touching me war’. The shape is a simple kidney bean shape… if you need it a little larger (for yourself) you could enlarge the template when printing. 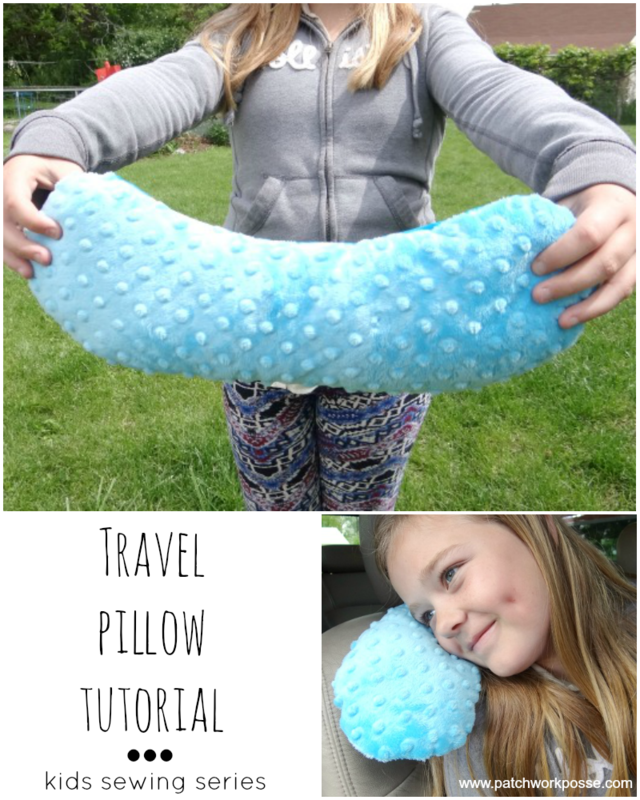 Here's the travel pillow tutorial.